JManga, the digital manga service backed by a number of Japanese publishers, is shutting down. No more points may be purchased, and all titles will be taken down by May 30, 2013. Any remaining points on users’ accounts will be refunded to them in the form of Amazon Gift Cards. JManga, unlike so many other official manga sites, was at least partly accessible in regions outside of the US, and it was for this reason that I initially supported it in spite of its initial convoluted pricing scheme. Eventually, they changed the pay format to something a little more enticing and easy to understand, but when a friend told me that he wished he could purchase a title that was already on JManga, it made me realize just how unknown the site was. I tried to do my part and encourage others to use JManga, but for one reason or another it apparently wasn’t enough. It’s a shame, because I think they really made some excellent strides in getting manga to a digital format, even if their reader left something to desire in terms of functionality and ease of use. The news of JManga’s impending demise brought up conversations about piracy and users’ rights that is affecting industries well beyond manga at this point (the Sim City server problems being currently the most prominent), and one of the arguments being made is that it’s in the end the fault of scanlations. I have a problem with this. While I don’t doubt that scanlations impact sales, especially when it comes to the popular titles, the fact is that none of the manga on JManga were heavy hitters. Their famous titles were things that simply don’t sell too well, like volume 1 of Golgo 13. I believe their most successful manga was Soredemo Machi wa Mawatteiru (some of which I purchased and am kind of miffed that it’s going to vanish in a couple of months), which to put it lightly is not a Naruto or a Sailor Moon. The lineup at JManga was extremely esoteric, and while this had a great amount of appeal for me personally, I’m also aware that the average manga fan, whether they read free manga online or not, is not going to chomp at the bit to go read about a Heian era fujoshi (another purchased title I will miss). Essentially, the titles on JManga were so out there that for the most part they were not the things people would look to scan and distribute, so the traditional argument of piracy doesn’t really apply here. Also, JManga was apparently shackled by the fact that publishers would not hand over their A-List titles. Tokyopop tried the flood of mediocrity approach as well, and that didn’t go so well in the end. While it is possible to say that fans should have subscribed anyway in order to give JManga the opportunity to go after the big titles, as Narutaki over at Reverse Thieves and the Speakeasy podcast pointed out, you can’t expect people to pay money in the hopes that they might someday get the titles that they want, especially if they’re from wildly different genres and demographics. I could see it argued that manga scanlations created the environment which made publishers fear handing over their major titles, and by extension was the cause for JManga’s demise, but I think this would be overlooking the fact that media companies tend to be conservative about trying out new platforms until they absolutely must. HBO’s business model, for instance, is based on subscriptions to their premium cable service. This is fine and all, but it turns out that people who only want to watch online (legally, mind you) must also buy cable and HBO anyway. Media companies, if they can help it, will dig their feet into the ground to the point that they pretty much have to be dragged kicking and screaming to evolve alongside their potential customers’ habits. As a classic example, would the music industry have even bothered with digital distribution and the mp3 format if something like Napster hadn’t forced them to do so? This is not me defending piracy as some kind of noble endeavor, but merely making the point that if scanlations did not exist and were not so ubiquitous, then I highly doubt that Japanese manga publishers would have simply decided to put manga online “just because.” In other words, to say that JManga would have been fine had readers of manga behaved all along is I think a flawed argument because there’s a good chance we wouldn’t even have sites like JManga or J-Comi. Valuing creative talent and creative output is still important, but defining that value according to current conventions and blindly accepting the current distribution methods (or lack thereof) is problematic itself. That’s not to say that one must rebel against the system in order to “save manga” or “stick it to the man,” but it would be beneficial to acknowledge where it is flawed, and to also not put blame squarely on the shoulders of readers, especially when the site was not giving them what they want. This entry was posted in industry, manga, thought exercise, trends and tagged digital distribution, jmanga. Bookmark the permalink. This makes me wonder how the new Weekly Shonen Jump will fare. On one hand, they are releasing the big titles in a timely fashion, but on the other hand, I see the scanlations almost a week before the official release. The remarks on piracy and digital distribution bring this to mind: http://www.baen.com/library/intro.asp . Actually, I think the manga whose title translates as “Jubei the Edo Cat Painter” could have attracted a lot of the same people who read the somewhat younger-skewing (and set in modern times) kitten-and-family manga “Chi’s Sweet Home”–maybe even some cat lovers who’ve never picked up a manga in their lives. (“Jubei” is about a bishounen guy in feudal-era Edo/Tokyo who specializes in painting cats, often leading to a heartwarming story about the cat of the month and its owner.) 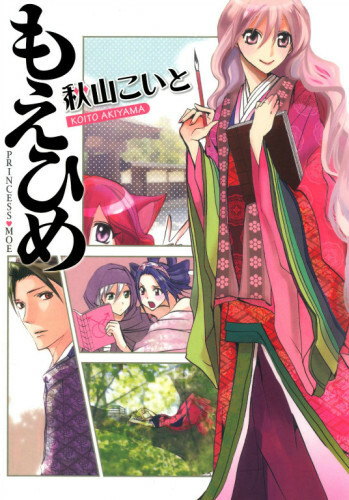 And plenty of fans of supernatural-themed manga like “Inu Yasha,” “Nura: Rise of the Yokai Clan,” “Natsume’s Book of Friends,” and “Rin-ne” would probably have enjoyed Jubei’s split-tailed magical talking cat sidekick, who helps out by translating cat language and using his nekomata (“demon”/yokai cat) powers to make Jubei’s scarecrow-like paintings of warehouse watch-cats as off-putting to intrusive rats and mice as a flesh-and-blood feline on the premises. Unfortunately, making such broader audiences aware of the series would probably have required a more extensive and sustained marketing effort than JManga felt it was in a position to undertake. Although since, despite its rather specialized-sounding premise, “Jubei” is a lot more fun (and more smoothly translated) than “Anesthesiologist Hana,” which JManga seems to have pushed hardest during its initial roll-out (although I believe the first volume of “Jubei” was also one of the first titles they released, or at least became available quite soon after “Anesthesiologist Hana”), they might have done better to try to highlight “Jubei” in their introductory PR at least as much as “Hana” (or that manga about a guy who travels around Japan by train sampling different regional bentos, which clearly had a lot less non-esoteric potential crossover appeal than even the could-be-construed-as-a-less-soap-operatic-answer-to-“Grey’s Anatomy” “Hana” did). On JManga the series is called “Edo Nekoe Jubei Otogizoshi”, which is rather alienating compared to other Japanese titles, such as Natsume Yuujinchou (Natsume’s Book of Friends). The latter is smooth and somewhat easy to remember, while the former is… simply confusing. You translated the title to “Jubei the Edo Cat Painter”, which to me is a much better name. Small things like these would improve a lot and make me want to give the manga a try. If I only saw “Jubei Otogizoshi” I wouldn’t care unless the art interested me (which brings me to another problem: the very small pictures and a lack of synopsis unless you click on the manga). But if it was called “Cat Painter” I would care. I feel JManga didn’t really push their titles. Instead tons of new ones came in and every time I became more and more confused. I think you need someone with really great technology know-how and loves manga to a huge degree for a digital manga platform to succeed. JManga badly failed at marketing and reaching the fans. I think not having “hard hitters” was not the issue – potentially, JManga could have served to CREATE hits, if it had actually had a decent user base. The region locking hobbled them badly out of the gate as well. In any case, I’m tempted to blame lack of marketing first (when your intended market says, “what’s JManga?”, you screwed up), faulty execution second, with price problems and piracy at the tail end. To be honest, I was hesitant to try out JManga at least partly due to my fear it would fold. At least with a book, you have that physical media, and if you buy ebooks, you get a real copy. JManga was more like a streaming site but the pricing was like a bookstore. I have a crunchyroll subscription, but I can literally watch any title – I see it as like having the keys to a vast library. JManga was not that, and now I see my fears were well founded. Honestly, though, I think it’s a much a victim of economic circumstances as anything. The entire anime industry is NOT like luxury items – it doesn’t have a small core of the wealthy supporting it (who will probably get richer). It’s basic entertainment, a product for the “masses”, and the masses don’t have any money right now. Young people in particular are less likely to have jobs nowadays. Tokyopop, while it lasted, existed on the back of thousands of people like me at that time who had a job at Starbucks. Those jobs are much less available for teenagers now.